Snapchat has quickly blossomed into one of the leading social and media apps available on Apple and Android phones. There is no better way to reach your customers on mobile than Snapchat advertising because Snapchat allows you to connect with a relevant audience at the brand building moments that matter most. Connection is what we see as a key Snapchat differentiator over Instagram or Facebook. With Facebook and Instagram, your ads are injected into a content feed. On Snapchat, your ads are injected into powerful brand building moments. 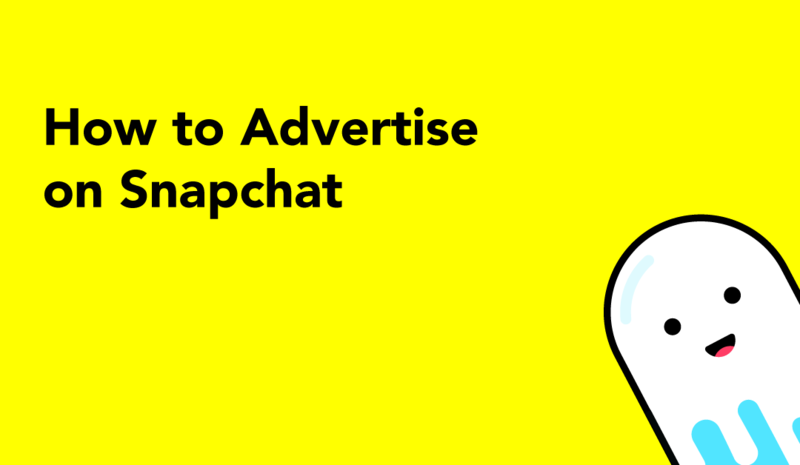 When creating your ads on Snapchat, you have a variety of different ad products to pick from. The two ad products that we are going to focus on are: Snap Ads and Filters. Snap Ads are vertical video ads. You can use Snap Ads to drive people to a website, install apps, or simply watch a long-form video. Pick an Objective. You’ll need to tell Snapchat your goal. This means deciding if you want to drive views to a website, installations to an app, or simply have your audience view a video. Define Your Audience. Once your goal has been selected, you’ll need to define your audience. Think about the age, gender, and other demographic information that makes up your target audience. You’ll want to select the demographic information that you think best reflects your customer-base. Select Your Budget. Decide how much you want to spend on Snap Ads! We suggest starting low, and then raising your budgets. However, we also recommend that you try to spend a minimum of $250 and play with your audience and look to improve efficiencies in your Snapchat advertising campaign. Upload Your Video. Snapchat requires that you you use a vertical video for your ad. You will need to create a vertical video that is 1080×1920 and a maximum of 10 seconds long. There are some important guidelines to consider when making your video. You should make sure that you don’t use profanity, write contact information such as a domain name or phone number, or write “Swipe Up.” If you need help with your vertical video, we can help you out here. Launch Your Ad! Submit your ad for review! Keep an eye out for an approval or rejection from Snapchat. They are pretty strict about quality – so don’t feel deterred if it takes your ad a few reviews to get approved! Snapchat Filters allow you to be where your product is bought, thought about, or consumed. 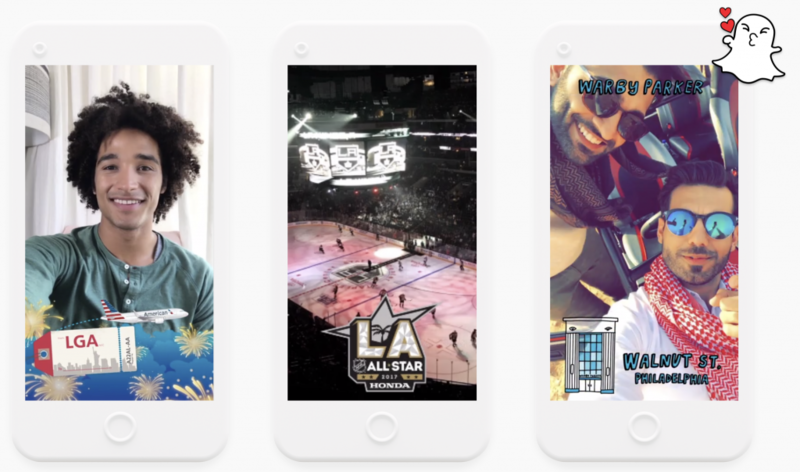 When you create your own Filter for Snapchat, you drive awareness and friend-to-friend brand referrals. Download FilterPop App or Go to the FilterPop Website. You’ll need to start creating your Snapchat Filter by making a design for your filter. Using either the app or website are great choices. Design Your Filter. Once on the website or app you will want start designing your filter. Pick a fun design, add your logo, and add some text that makes your Snapchat filter shareable. When making your design, there are a few guidelines to consider. Make sure you don’t add social media handles, email, address, phone number, or any other contact information. Snapchat Filters strictly drive awareness and friend-to-friend referral of your business. Pick Your Targeting. Picking your targeting is a key part of creating your Snapchat Filter. The targeting for a Filter is currently based on location, so you’ll likely pick a spot like the location of your business, a competitors location, or an event where you know your audience is using Snapchat at. Submit Your Filter Design! Once you’ve submitted your Snapchat Filter design, you’ll need to wait for it to get approved. Keep an eye out in your inbox for approval or rejection notification. If it’s rejected, you’ll see why and can make the necessary changes. If it’s rejected on the Apple app, you will receive account credit to redeem on creating a new Filter. If you placed your order on the website you will receive a full refund so that you can re-submit your design. Additionally, we recommend making your Filter at least 24 to 48 hours in advance. Doing your Filter in advance is smart because it allows you to have some wiggle-room on the Snapchat Filter review process. Want Assistance Running Snapchat Ads? Snapchat Ads can be a wonderful way for you to grow your businesses following and revenue. However, it’s definitely on the more complex side right now when compared to Facebook or Instagram. It’s complexity comes from it being new. Being new is a huge advantage for you. It means that you’ll be an early mover and see enormous benefits to your business. Imagine being one of the first advertisers on Facebook, Twitter, or Google, This is one of those moments that you can seize to send your business on a rocket ship. If you would like some assistance running your campaign, our team will gladly assist you. We’ll even give you a $100 advertising credit. Click here to contact our Snap Ads team at FilterPop.